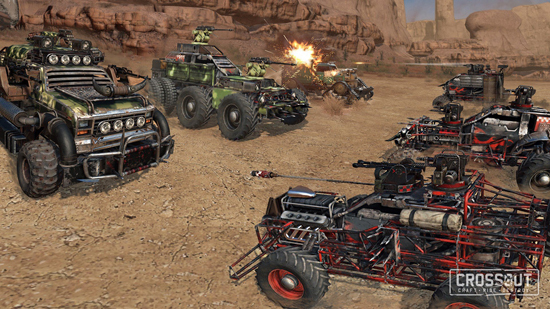 Post-apocalyptic Action MMOG Crossout now features Clan Wars, a highly competitive game mode open to all players. While fighting for a famed position on the leaderboards, participating clans will also compete for a rare resource used to craft powerful relics - Uranium. 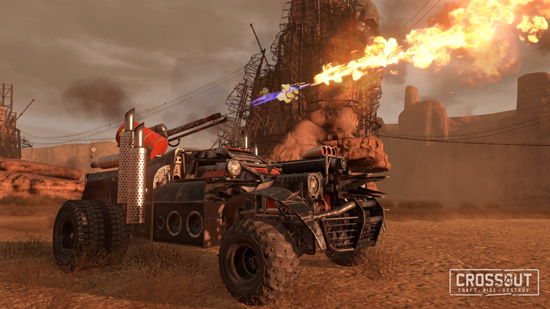 In Crossout players build their own combat vehicles from the ground up using a myriad of parts unlocked through combat. 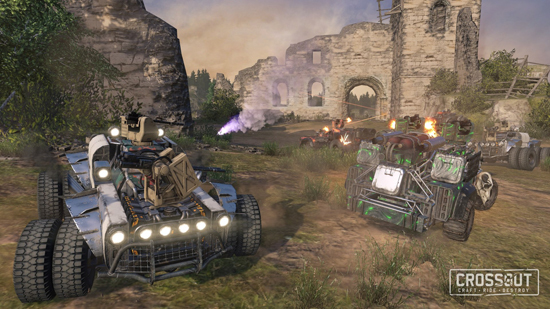 In Clan Wars, two teams of four clan members each meet on their own customized vehicles in different locations such as Factory, Powerplant and Rock City. 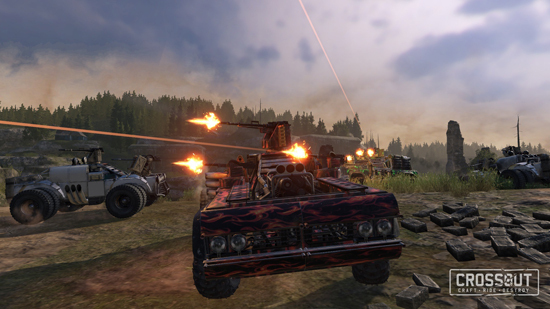 To win, players not only have to develop their own tactics on the battlefield but also find the right synergy in vehicles as they prepare for battle. After each fight, successful warriors are rewarded with Uranium, a rare resource that can be used to craft powerful items and also be sold for good profit on the market. Additionally, at the end of every week, the 30 best clans receive their fair share of the precious metal, distributed evenly among all members - even to those that did not participate in this week’s combat. As only one team per clan can be active at the same time, it is thus advised that clans send only their most determined warriors! 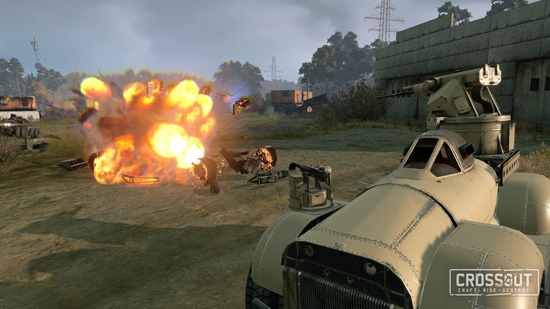 One of the blueprints relying on Uranium is the Flamethrower, a frightening weapon for those survivors that prefer to get up close and personal with their enemies. 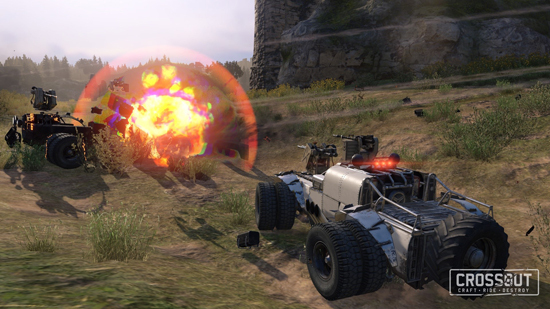 Offered by the Engineers faction, this weapon is the first item of many to be added as a reward for participation in Clan Wars. 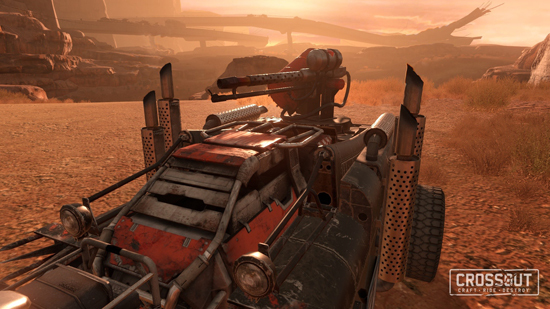 Future updates will include additional challenges and items to craft for those who master the new mode, as well as more maps, weapons and modules for all players.